The Hip & Urban Girl's Guide: Contest: What Does Nokia And Fashion Week Have In Common? Contest: What Does Nokia And Fashion Week Have In Common? During Toronto Fashion Week, PAVONI will be showcasing their Fall 2012 Collection. If you haven't checked them out already, they are an exciting new luxury fashion house that caters to woman with an inspired sense of taste and appreciation for superior fabrics and design. 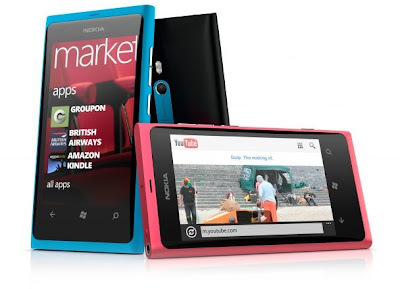 Meanwhile the Nokia Lumia 800, lets you stand out in the crowd! Well if you are going to be sitting in the VIP section at the Pavoni Show, you'll need to be seen Tweeting, Blogging and Texting in style! And we are going to give you all that! 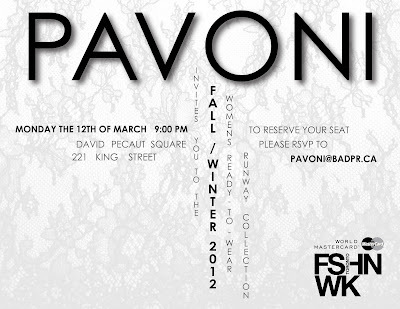 WIN a pair of front-row tickets to the Pavoni Show (Monday at 9pm) and the Nokia Lumia 800 smartphone! 1. What's your favourite fashion/style post on HUG? Share it with your friends on your Facebook page. 2. 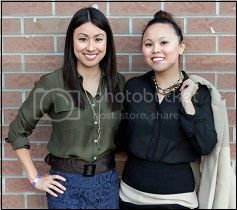 Tweet "I want the Nokia Lumia 800 so I can be stunningly social with @hipurbangirl @nokiacanada for #WMCFW!" One winner will be chosen Saturday at noon EST. Good Luck! eek this will be even more perfect, just in time for Fashion Week!! This would be an awesone Fashion Show to attend and trust me I would tweet like crazy on my new Nokia!! That's for the chance and I hope to meet you at the fashion show!! Tweeted your phrase (nutterbutter55) and shared "The Colour of Spring" from March 1st. Tweeted. My favourite is http://www.hipurbangirl.com/2012/03/colour-of-spring.html, The Colour of Spring - shared on FB. I tweeted as @bcsupermom and shared the contest on facebook and I shared your post about International womens day. Thanks so much for the chance. Thanks everyone for entering. This contest is now closed. Our winner this time is a hip + urban guy... congrats to Darrin C. of Toronto!